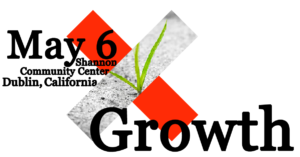 Our theme for this year’s event is “Growth.” All five cities in the Tri-Valley — Danville, Dublin, Livermore, Pleasanton and San Ramon — have seen high year-over-year population growth in the last decade, which is not expected to slow down. As a result, what used to be a small, quiet, and rural community has become a thriving, much larger, more diverse, and more metropolitan community composed of residents with ties to Silicon Valley and San Francisco. This means that the community is making choices about its future. We are looking to bring Tri-Valley leaders together in an exciting, unifying forum. We would like to reemphasize that despite –and because of – our growth, we are one community. Together we will explore the meaning of “growth” from diverse perspectives. We will consider what it means to become a community. 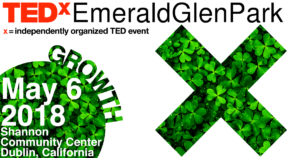 TEDxEmeraldGlenPark will provide a forum for the Tri-Valley community to share ideas, embrace differences, get educated, and understand others’ viewpoints. TEDxEmeraldGlenPark will also serve as a space where ideas from the Tri-Valley area can be shared with a wider audience, and ultimately the world. Sunday, May 6, 2018 (half-day event). 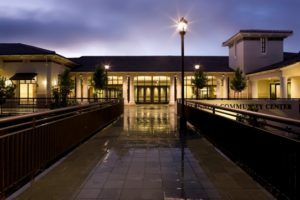 The stunning Shannon Community Center. 100 Tri-Valley leaders will participate in the event. 4 to 6 Tri-Valley speakers from diverse backgrounds such as farming, business, community, and more. Each speaker will have 12 to 18 minutes to talk about their passions and growth lessons. Select community partners to provide support. 10 innovative product demonstration or sampling booths. A mystery Tri-Valley/East Bay guest who understands growth.